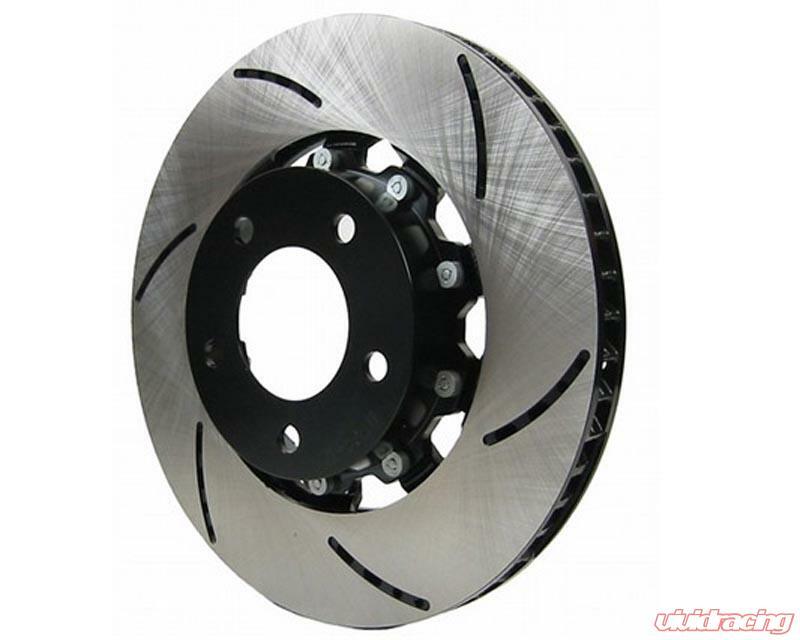 RacingBrake rotors are engineered and manufactured to meet the needs of the performance enthusiasts. From 3D CAD design to tooling development, casting, machining, and surface coating, RacingBrake controls all production processes to insure the quality, performance, and value. 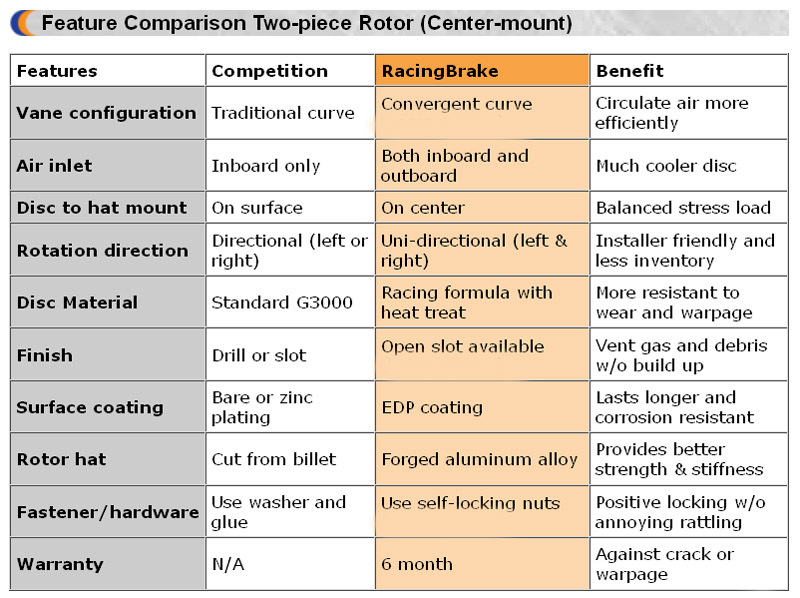 Lighter rotor (12-16% weight reduction varied with the size and design) than original one-piece rotor - meaning lower spinning weight. True full sliding design (unlike others out in the marketplace) allows the disc to expand and contract freely without stressing the hat. This helps prevent the disc from warping or cracking. 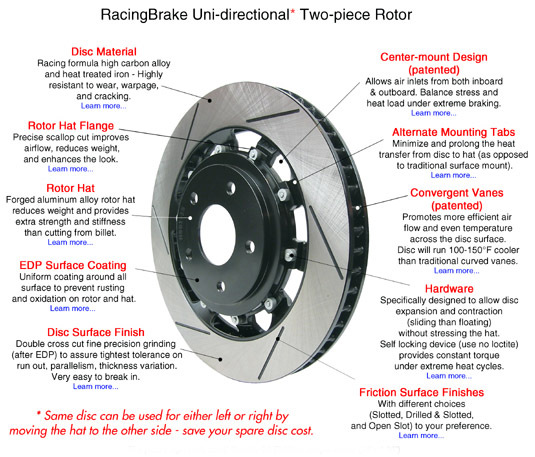 Allows consumers to replace only the rotor ring, while reusiing the hat. Although the initial cost of two-piece rotors is higher than one-piece rotors, the lifetime operating cost could be lower. Alloyed iron formula adds strength and heat resistance. Heat treating further improves rotor performance for a more uniform and stabilized microstructure. 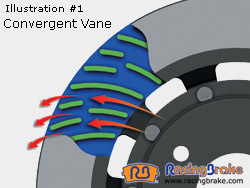 The cooling vanes are of a convergent nozzle design, which increases airflow and turbulence and makes discs cooler. This can be viewed in Illustration #1. It allows the ring to be used on either side of the vehicle simply by mounting the hat on either side of the ring (unidirectional). The stress load transferred from the ring to the hat is balanced. Air inlets are widely open to both inboard and outboard sides of the rotor. More air suctions and even temperature on both sides of the disc surface. Heat transfer from the disc surfaces to the hat is even and minimized by increasing the flange length and the airflow around the flanges. 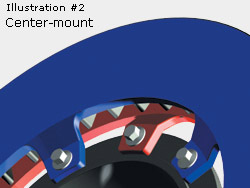 Mounting flanges are on both friction surfaces ultimately provides excellent heat balance. Exclusive full floating design with 10.9 grade alloyed hardware. Hardware is DACRO coated and crimp locking. DACRO is highly corrosion resistant and provides a film for easier movement between the hat and rotor ring as disc expands and contracts and the crimp design provides positive engagement without rattling or torque loss at temperature. RacingBrake has been providing quality brake replacement components for the automotive aftermarket for over two decades, mainly developing private label products for major brake companies and national wholesalers. 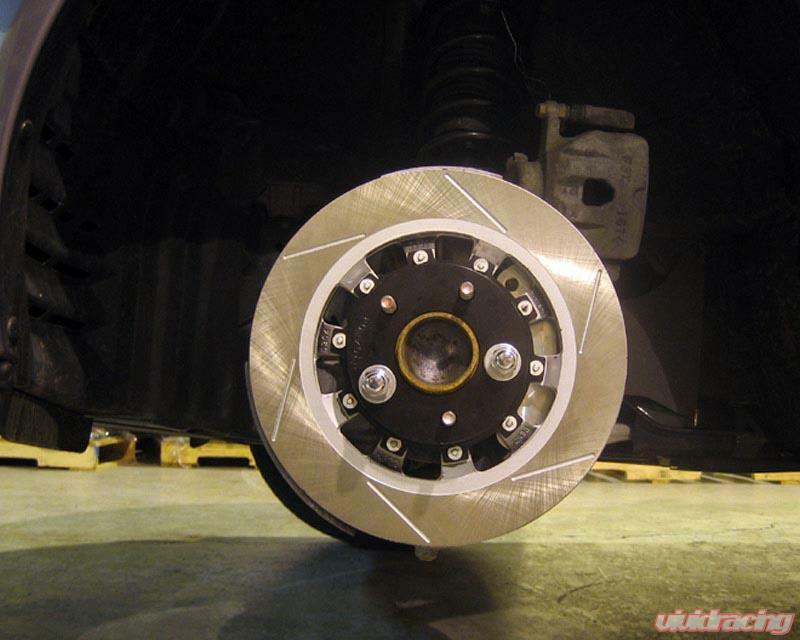 Their goal is to offer auto enthusiasts with affordable brake upgrades - from direct bolt-on stock replacement rotors to complete brake system upgrades. 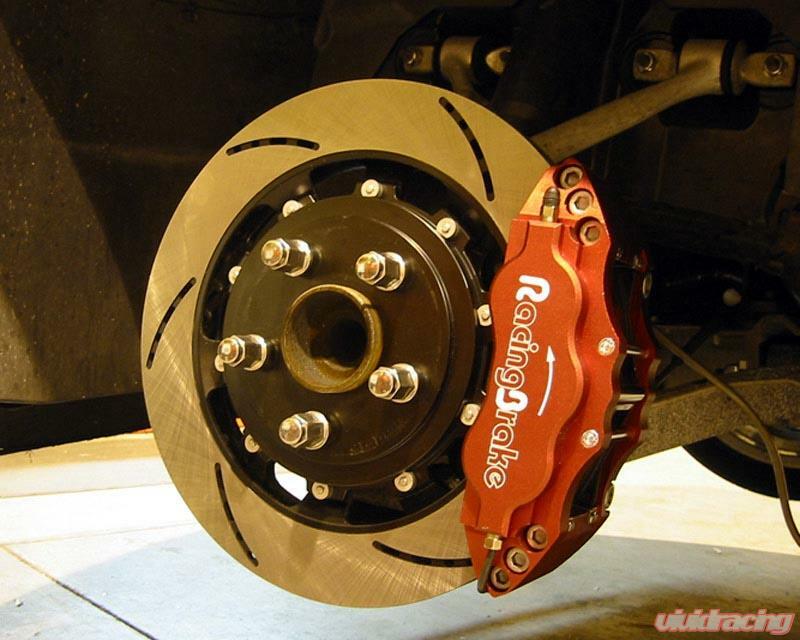 RB brake parts are designed and manufactured based on extensive experience and know-how in brake technology.